Ok, time's almost up for the pre-Christmas planning, but what if you've simply run out of time to get your presents sorted, or worse, suddenly remembered somebody who should be on the Nice List, and you are empty handed! Well, we've got some very last second ideas to come to your rescue, in the form of vouchers from ethical brands to give to your loved ones. Make them special by printing them out and wrapping them up with a bow and a sprig of greenery from the garden, and your recipient will feel loved. Because isn't that what Christmas is really all about? Need a gift for somebody who LOVES to cook? Then a subscription to this fabulous magazine might just hit the spot. 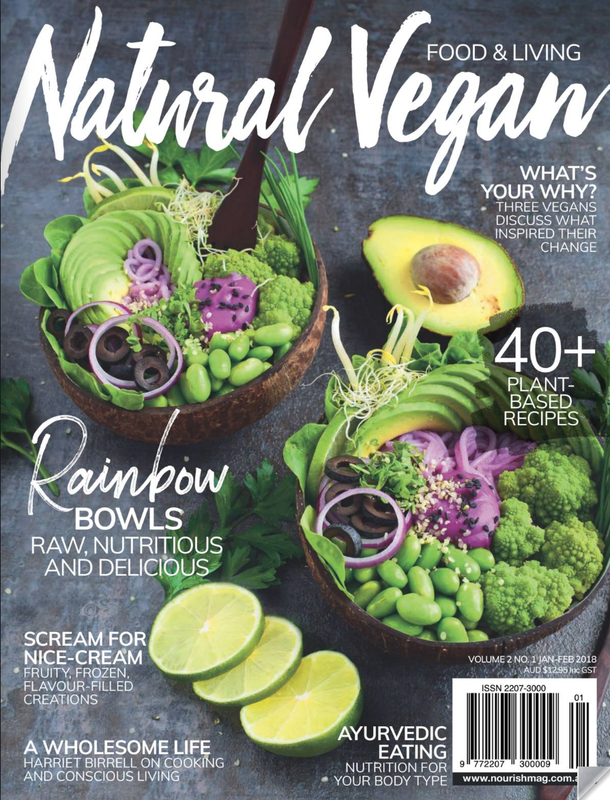 We're loving both the variety of wholefood vegan recipes + the enticing photography which focusses on the colourful nature of plant-based cuisine. Made in Portugal in fair working conditions, this nutty brown Chestnut satchel is made from high quality vegan leather. A classic gift for a stylish man, and one to treasure. Gift a handbag-lover a voucher to redeem for this seriously cute rattan handbag, exclusive to Ethical Gallery (an online vegan curated handbag store) or choose from one of their other labels, like Angela Roi or OOD. Gift a better life for animals with a donation towards a dedicated campaign for specific animal welfare causes, the details of which are then on your recipient's gift card. Choose from ending greyhound racing, supporting the work of the Kilimanjaro Fieldmen protecting elephants, helping to end the ivory trade, or many more.